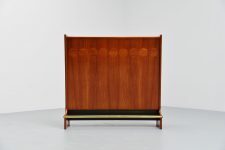 Very nice dry bar designed by Johannes Andersen for J. Skaaning & Søn, Denmark 1960. 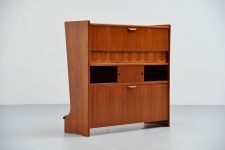 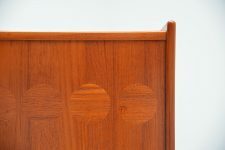 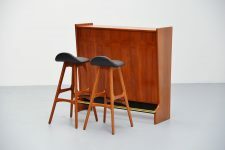 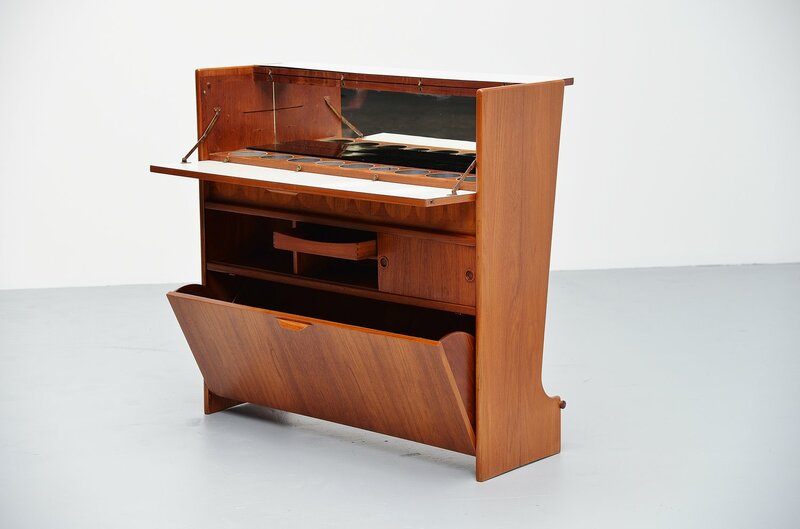 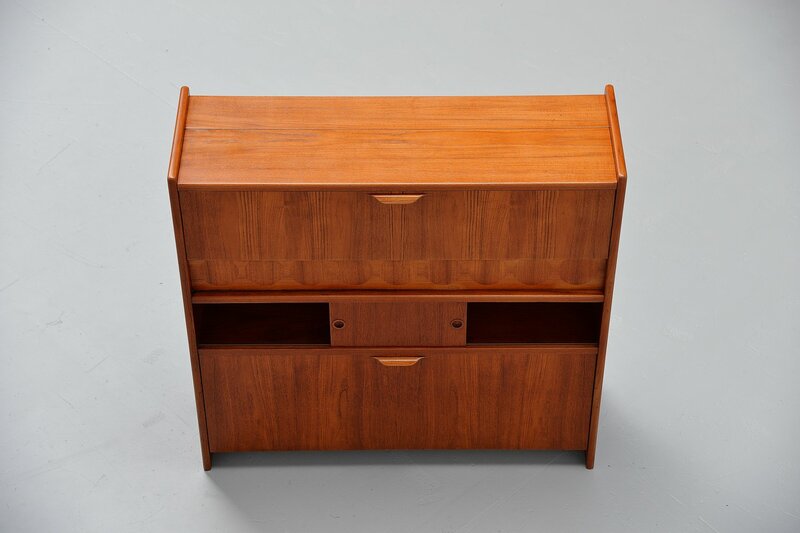 This bar is made of teak wooden veneer and has partly laminated parts. 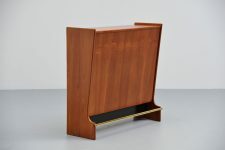 There is a black glass shelve inside and space for bottles, glasses and more. 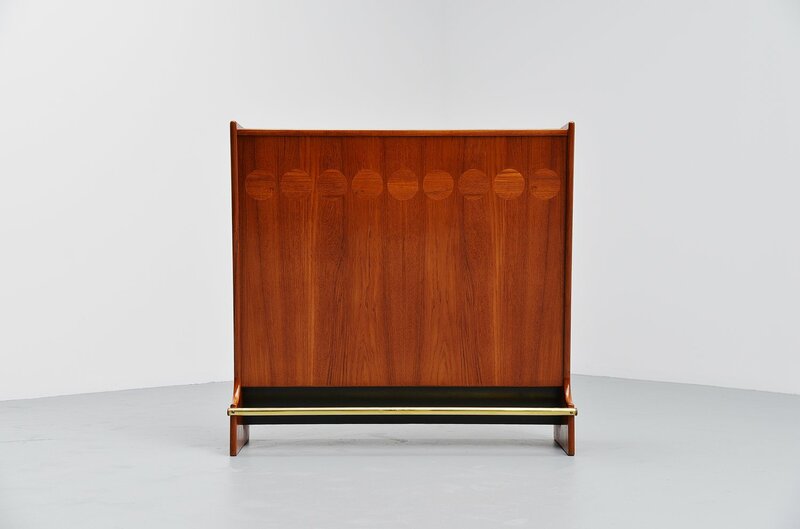 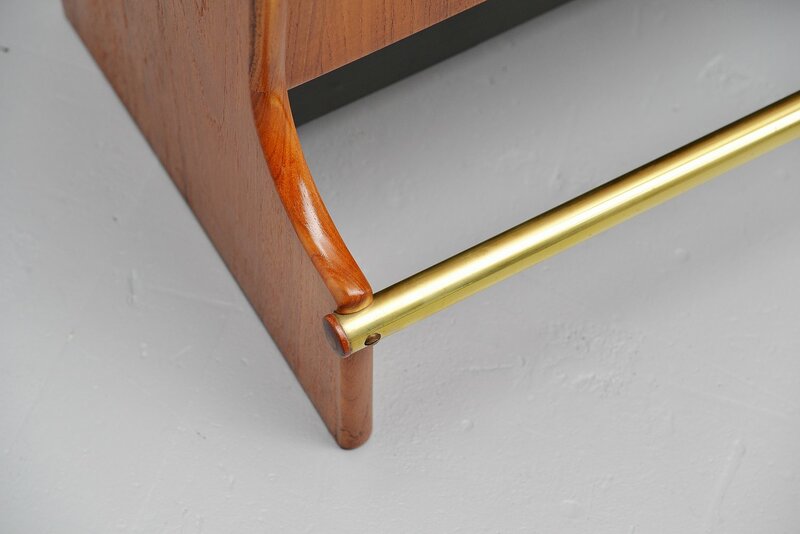 The bar has a brass foot rest and matches great with the 3 Johannes Andersen stools we have in stock. 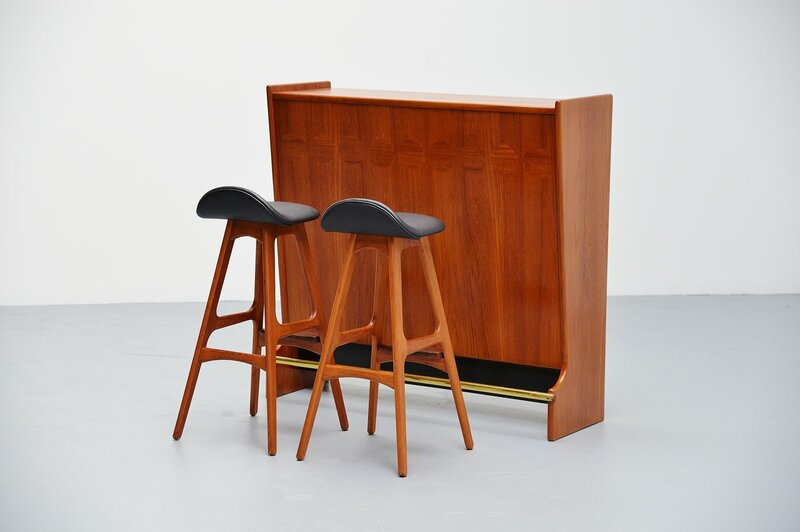 Or with Erik Buck bar stools in teak, please inquire for our current stock. 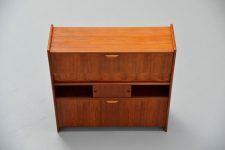 Manufacturer: J. Skaaning & Søn.